Windshield chip repair is a very common call, for most automobile owners. It is a cheaper solution that a full windshield repair, and is faster by far, as well. 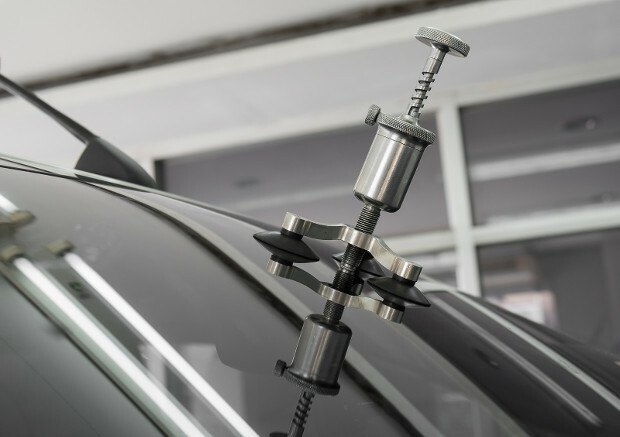 There are some expectations that you as a car or truck owner may have, when it comes to your windshield chip repair, and we are here to answer some of those questions. Read on for more! Yes. The auto glass industry may not have many overall standards, but they do have some. One of these states that if a windshield has a rock chip or other small-scale damage, it is considered broken. This means, legally, it should be repaired as soon as possible. When the chip is repaired, will the mark completely disappear? Not always, but sometimes. The chip repair is only meant to repair the structural integrity of the windshield, and should not be aesthetically judged in any way. Can the repair actually cause more trouble, like further cracking? It can happen, especially if you live and drive in a place with extreme temperature fluctuations. Other environmental factors may also affect how the repair to the chip interacts with the rest of your windshield. In cases like this, you just kind of have to wait and see what happens. Is there a rule of thumb on what chips can be repaired or not? Yes! If the chip can be completely covered by a coin, usually a quarter, and it is not in the driver’s direct line of vision, then it can be repaired. However, if the chip expands during repair, then the windshield should be replaced, instead of a spot-job like a chip repair. See our note about environment above. With that being said, there are instances where a simple chip repair is not recommended. If the crack expands into more than one layer of the laminated glass – there are three layers, you know – then the windshield needs to be completely replaced. If the chip is larger than a quarter, or if there are three or more chips in the windshield, then no amount of chip repair will be enough to restore the integrity of the windshield. If the inside layer of the glass is cracked, or if the impact area is smashed entirely to dust, windshield replacement is the only option. Overall, if the chip or repaired-chip obstructs your vision, you run the risk of traffic tickets, accidents, or further windshield damage. When in doubt, it might be best to call an auto glass repair and replacement specialist, like Advanced Auto Glass. We are the leader in the central Texas area, and we have decades of experience on windshields and auto glass in our community. Will my insurance pay some or all of my chip repair costs? Often, they will. In the long run, it is cheaper for them to assist you in getting the chip repaired, or the windshield replaced, rather than pay for personal or property damage after you have an accident. If you need help knowing how to talk to your insurance about your policy’s coverage for chips and auto glass repair and replacement, you can talk to us! Here at Advanced Auto Glass, we know the importance of having intact windshields on your car. We want you to drive safely, so give us a call or a click today!